Welcome to NTR Woodturning. 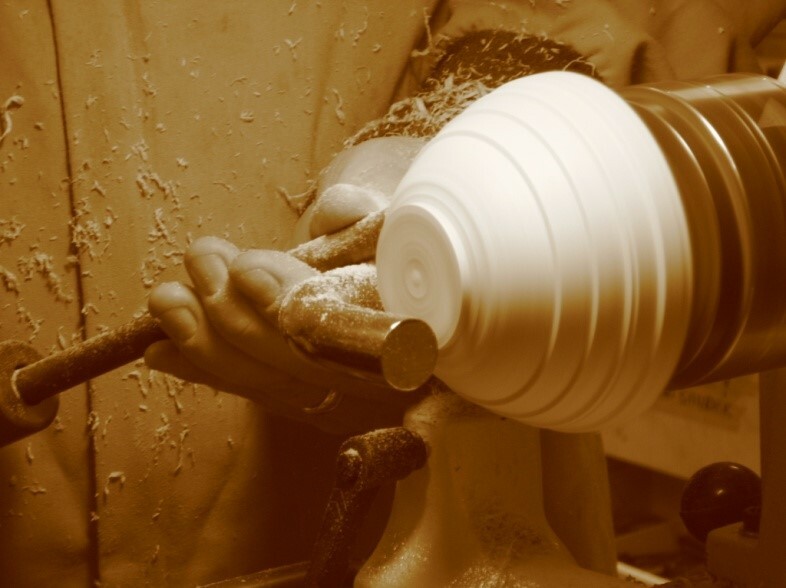 Woodturning is an art and a craft. By using techniques learned over years of training and practice to turn functional items out of wood, I can craft many things. Learning to appreciate pleasing shapes and form along with experimentation and adding other media, I create one of a kind pieces of art. Here you will find information about me and the woodturning that I do. Check out the ‘Gallery‘ which offers a sample of the work I have completed. Check my “Calendar” to see what I have planned. I plan to keep the “Blog” on topic with the latest woodturning project in my shop. I started woodworking in the early 1990’s making furniture and built-in cabinets for our home. I bought my first lathe in 2002 and was self-taught for the first couple of years. I read a lot of books including many by well-known turners from around the world. Online videos were also a big help – although I caution people today that some of these videos may show unsafe ways of turning. I had my share of failures but I find that the ‘process is the journey’ of discovery and new ideas, techniques and skills are born from these failures. I got involved with the Dallas Area Woodturners club (an American Association of Woodturners affiliate) which was a big help. Through the club and its many members, I learned and grew a lot as a turner. In 2016, I became the treasurer of our club and will likely move on to other positions within the club. I attended national and regional woodturning symposiums that widened my turning knowledge and well as my community. Woodturners are friendly and helpful people and are all willing to share and collaborate which makes it a close community. in April of 2017, I started Woodturning Tool Store, an eCommerce business selling woodturning tools. Over the years I have attended turning class taught by Al Stirt, Don Derry, and Jimmy Clewes and others. These classes and training really helped with my tool and turning skills but just as important I acquired knowledge about form, function and how the wood grain and texture guides the turning decisions. I enjoy the process of turning and I use a mix of planning and serendipity as the creative process evolves. Since woodturning is a subtractive art form there needs to be some planning involved along with knowledge of the natural medium and its tendencies. It is the unknown and spontaneous nature of working wood that intrigues me but also the process of how to get to the final piece. I enjoy showing others this craft and enabling their wonder in what is hidden within the wood. How about a quick tour of my shop. Please feel free to contact me either by phone, email or with the contract form below.